Do you find your forearms and elbows aching after long hours of computer use. 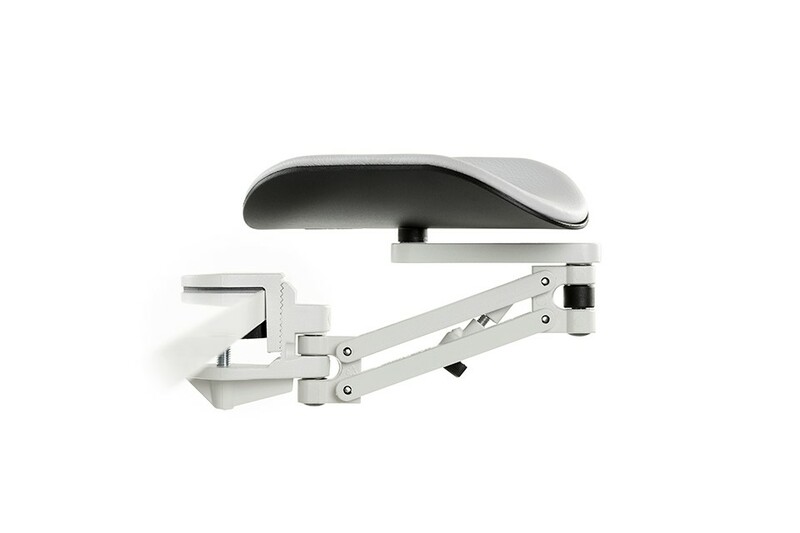 The Full Forearm Support attaches to edge of your desk to provide cushioned support to your arms. The Full Forearm Support can be used with almost any keyboard and computer desk. The support can easily attach to the desk in less than one minute. It’s important to note that you will need an Allen Key to attach the device securely. The support has been made using upholstered soft velour fabric which is sure to leave you sitting in comfort for long periods of time. Curves around the body to offer increased wrist support.